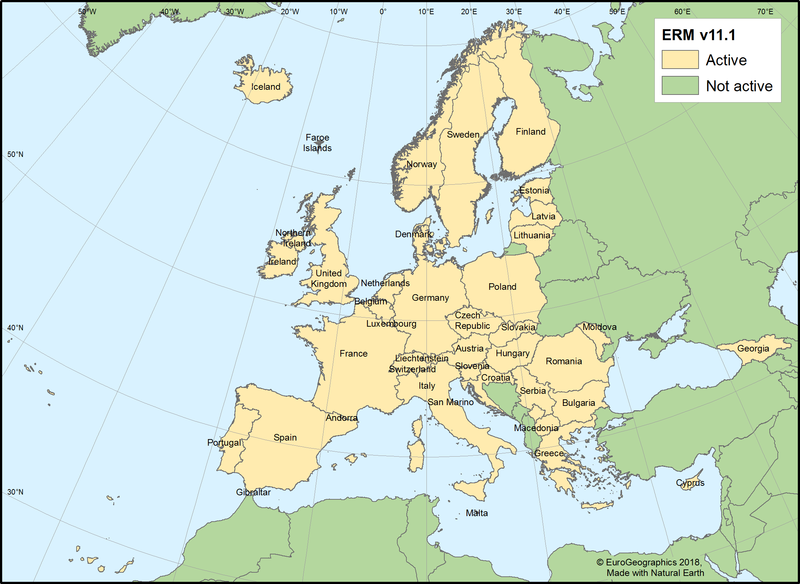 EuroRegionalMap v11.1 is a pan-European dataset containing topographic information at the scale 1:250 000 covering: 28 EU member states, 4 EFTA states (Liechtenstein, Norway, Iceland, Switzerland), Republic of Moldova, Serbia, Kosovo, The Former Yugoslav Republic Of Macedonia and Georgia. It is a seamless and harmonised data and is produced in cooperation by the National Mapping and Cadastral Agencies (NMCA) of Europe, using official national databases. EuroRegionalMap is ideal for a wide range of uses, including spatial analysis, cartographic publishing and backdrop visualisation, or in combination with other datasets for marketing planning and socio-economic analysis, environmental analysis, and transport management. Our products are priced according to coverage, number of users and other rights. See our pricing and licensing page. 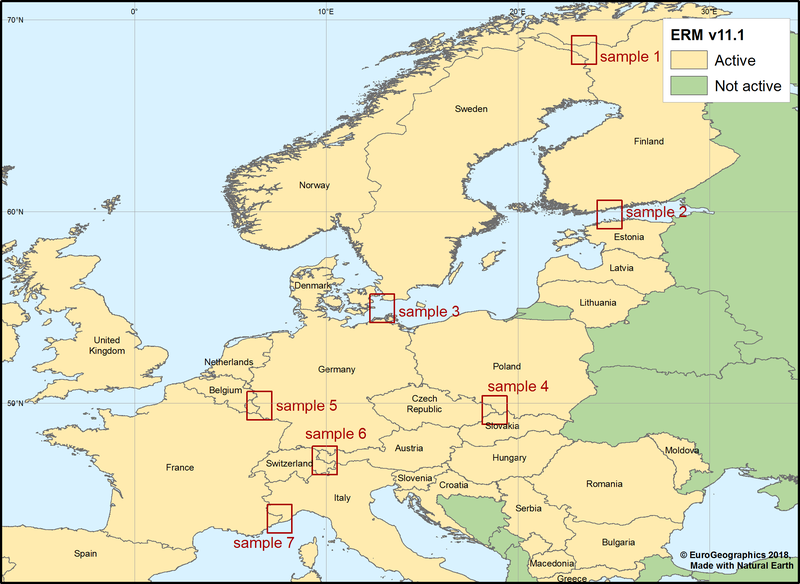 The EuroRegionalMap geodatabase model (GDB) has gathered all the feature classes into a unique dataset. Themes are not defined. The feature classes are defined as GDB simple feature class: area, line, point. The feature classes hold and define the attribute fields. The features are defined as a subtype of the feature class. Coded value domains have also been defined for attributes at the subtype level. The administrative boundaries (BND) theme holds information on the administrative entities down to the lowest level and their administrative hierarchy. A unified coding system for all the administrative levels is included. The water network (HYDRO) holds information on the watercourses like the name, the navigability and the width range and information on the open water area, the seaside and the associated hydrologic equipment (dams, locks). All watercourses form a continuous network with connectivity through open water and underground rivers. 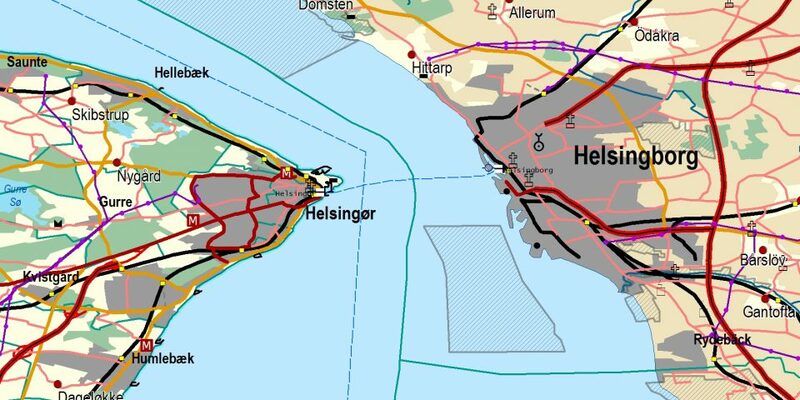 The transport network (TRANS) holds information on the roads and the railways, the ferry lines, the airports, and the harbours. Roads and railways are identified by their number or their code and form a connected network associated with features like railway stations, parking places, level crossings and road interchanges. Connections between the different types of transport have been added. The settlement theme (POP) holds information on the built-up areas and populated places including their name and the number of inhabitants. The vegetation and soils theme (VEG) holds features like wood, orchard or sandy area. The named locations (NAME) are just main text features of big geographic areas that are not portrayed in vector data and fit for cartographic purpose only. The miscellaneous theme (MISC) holds various topographic elements like power lines, landmarks, and buildings. The following themes were updated by NMCAs: BND, HYDRO, MISC and NAME. The Directorate-General for Mobility and Transport (DG MOVE) identified the Trans-European Transport Network for roads, railways, airports, ports and the watercourse system. Discovery Metadata for the ERM v11.1 are provided in XML format, and are INSPIRE compliant and also according to the ISO 19115/19139 profile. Quality information are stored in lineage files. Metadata exist for full coverage of Europe and regional coverages. Lineages files also exist per country. Several Data Samples are available to download for evaluation purposes. The sample data is for internal evaluation purposes only. All are © EuroGeographics. For more information about EuroRegionalMap or any of our products, please contact us. To license any of our products, please visit our Licensing page.